Let L be the Classical Liar Sentence. If L is true, then L is false. But the converse also can be established, as follows. Assume L is false. Because the Liar Sentence is just the sentence "L is false," the Liar Sentence is therefore true, so L is true. What has now been shown is that L is true if, and only if, it is false. Since L must be one or the other, it is both. That contradictory result apparently throws us into the lion’s den of semantic incoherence. The incoherence is due to the fact that, according to the rules of classical logic, anything follows from a contradiction, even "1 + 1 = 3." This article explores the details and implications of the principal ways out of the Paradox, that is, the ways of preserving or restoring semantic coherence. Most people, when first encountering the Liar Paradox, react in one of two ways. One reaction is not to take the Paradox seriously and say they won't reason any more about it. The second and more popular reaction is to say the Liar Sentence must be meaningless. The first reaction—not taking it seriously—provides no useful diagnosis of the original problem of semantic incoherence. The second is not an adequate solution if it can answer the question, “Why is the Classical Liar Sentence meaningless?” only with the ad hoc remark, “Otherwise we get a paradox.” An adequate solution should offer a more systematic treatment. For example, the sentence, “This sentence is not in Italian,” is very similar to the Classical Liar Sentence. Is it meaningless, too? Apparently not. So, what feature of the Liar Sentence makes it be meaningless while “This sentence is not in Italian” is not meaningless? What this sentence says is false. In treating these two liar sentences, one should decide whether sentences alone can be true or false, or instead only sentences appropriately interpreted, especially with clear references for their indexical terms such as the word "this." The questions about the Liar Paradox continue, and an adequate solution should address the questions formally or at least systematically. Should Classical Logic be Revised? And the bad nights caused thereby. Aristotle first clearly described the principle that no sentence can be contradictory; see his Metaphysics Book IV, Chapter 3, 1005b lines 6-34. Theophrastus, Aristotle’s successor, wrote three papyrus rolls about the Liar Paradox, and the Stoic philosopher Chrysippus wrote six, but their contents are lost in the sands of time. Despite various comments on how to solve the Paradox, no Greek suggested that Greek itself was inconsistent; it was the reasoning within Greek that was considered to be inconsistent. None of the sentences in this pair is true. The only consistent way to assign truth values (being true or being false) requires making “God exists” be true. In this way, Buridan has “proved” that God does exist. The first sentence in this list is false. It’s raining, and this sentence is false. Paradoxicality now depends on the weather. If it is sunny, then the sentence is simply false, but if it is raining, then we have the beginning of a paradox. Suppose we try to solve the paradox by saying the Classical Liar Sentence L is so odd that it is neither true nor false. This way out fails. If L were to be neither true nor false, then, by the meaning of "neither...nor," L is not false. But that consequence implies that what L says of itself (namely, that it is false) is false. So, L is false. This result leaves us with a contradiction (that it is false and not false). Unless there is a mistake in this reasoning, taking the route of saying the Liar Sentence is neither true nor false is not a successful way out. Suppose we somehow have found a promising way out of the Classical Liar Paradox. Ahead looms the Strengthened Liar Paradox. The Strengthened Liar Paradox is called “Strengthened” because some promising solutions to the Classical Liar Paradox fail when faced with the Strengthened Liar Paradox. to produce a contradiction. For example, let us stipulate that L' is a name of the Strengthened Liar Sentence, and let us stipulate that the phrase "This sentence" in L' refers to L'. Suppose L' is not true. If L' is not true, then that apparently implies it is true since it is saying it is not true. Now suppose L' is true. If L' were true, then that implies, just from the meaning of the sentence, that it is not true. So, L' is true if and only if it is not true. Now we have a paradox because L' is surely true or it is not. This sentence is either false or meaningless. Now we are on the road to paradox again. Surely L" is either true or it's not. Let's examine both disjuncts. (1) Suppose L" were true. If L" is true, then it is false or meaningless. If so, then it is not true. (2) Now for the second disjunct. Suppose L" were not true. Why would a declarative sentence not be true? Because it is false or meaningless. But the sentence's being false or meaningless is precisely the claim being made by L", so it follows that L" is true. So, from both (1) and (2) one may conclude that L" is true if and only if it is not. We have a contradiction. It is understandable why this reasoning is often called "the revenge of the liar." We do not want to solve the Classical Liar only to be ensnared by the Strengthened Liar. Therefore, finding one’s way out of the Strengthened Liar Paradox is the acid test of a successful solution. In discussions below, where context does not disambiguate between the Classical Liar Paradox and the Strengthened Liar Paradox and where it is not important to distinguish them, the simple phrase "the Liar Paradox" is used. To put the Liar Paradox in perspective, it is essential to appreciate why such an apparently trivial problem is a deep problem. Solving the Liar Paradox is part of the larger project of understanding truth. Understanding truth is a difficult project that involves finding a theory of truth, or a definition of truth, or a proper analysis of the concept of truth. These are distinct projects, but the current article does not distinguish them from each other. Before saying more about a theory of truth, let's be clear about what a contradiction is. When this article speaks of a contradiction, it means a sentence that is equivalent to a compound sentence that has the logical form of an assertion and its denial. Slightly more formally, the logical form of a contradiction is "P and Not P," where P is some declarative sentence. When a Marxist speaks of the contradiction in capitalism, the Marxist is not referring to a contradiction in the sense of that term that is of interest to this article, but rather to the fact that opposing social forces will clash and produce a restructuring of the society's economic system. Languages are expected to contain contradictions but not paradoxes. The contradictory sentence, “Snow is white, and snow is not white,” is just one of the many false sentences in the English language. But languages are not expected to contain or permit paradoxes, namely an apparently good inference in support of a contradiction. At least not in the philosopher's sense of that word. Informally, many speakers will sometimes say of any very surprising sentence or chain of reasoning that it is a paradox, but this is not the sense of the word "paradox" used in this article. A paradox in our sense is an apparently convincing argument leading from apparently true premises to a contradictory conclusion of the logical form "P and Not P."
The consequence is outrageous. That is why the paradox is a serious problem. An appropriate reaction to any paradox is to look for some unacceptable assumption made in the apparently convincing argument or else to look for a faulty step in the reasoning. Only very reluctantly would one want to learn to live with the contradiction being true, or ignore the contradiction altogether. The very existence of the Liar Paradox and other semantic paradoxes is evidence that there are principles we use which we have been taking to be obviously valid or obviously correct but which are not. By the way, what this article calls "paradoxes" are called "antinomies" by Quine, Tarski, and some other authors. A sentence is true if, and only if, what it says is so. A true sentence is one which says that the state of affairs is so and so, and the state of affairs indeed is so and so. Before we say more about the trouble with our theories of truth and reference, it will be helpful to describe the use-mention distinction. This is the distinction between using a term and mentioning it. Let's not confuse a dog with its name. Lassie is a helpful dog, but "Lassie" is a name, not a dog. Placing pairs of quotation marks around a term serves to name or mention it. The use-mention distinction applies to sentences as well as terms. Tarski's Convention T is requiring that the sentence “Snow is white” be true just in case snow is white. Similarly, if the same sentence about snow were named or mentioned not with quotation marks but with the numeral 88 inside a pair of parentheses, then (88) would be true just in case snow is white. There is still another way to refer to sentences, namely via self-reference. If I say, "This sentence is written in English, and not Italian," then the phrase "This sentence" refers to that sentence. This is all straightforward, and is a well-accepted way of doing naming and referring. this is not a remark about the letter between 'R' and 'T' in the alphabet. It is a remark about sentences. John said, "Mark Twain was not a famous 21st century U.S. president." If John said nothing about Samuel Clemens, then the above substitution would turn a true sentence into a false one. So, in substituting we need to be careful about substituting inside a quoted phrase. All these remarks about truth, reference, and substitution seem to be straightforward and not troublesome. Unfortunately, together they do lead to trouble, and the resolution of the difficulty is still an open problem in philosophical logic. Why is that? The brief answer is that Tarski's sentence with the supposedly uncontroversial assumptions above can be used to produce the Liar Paradox. The less brief answer refers to Tarski’s Undefinability Theorem of 1936. “Snow is white” is true if, and only if, snow is white. “Der Schnee ist weiss” is true in German if, and only if, snow is white. T`L´ if and only if L.
T`L´ if and only if ~T`L´. That is the argument of the Liar Paradox, very briefly. Tarski added precision to the discussion of the Liar by focusing not on a natural language such as English but on a classical, interpreted, formal language powerful enough to express at least elementary arithmetic, if not also your grocery list and the contents of the day's local newspaper. Here the difficulties produced by the Liar Argument became much clearer; and, very surprisingly, he was able to prove that Convention T, plus the assumption that the language contains its own concept of truth, produces semantic incoherence. I. We have implicitly assumed that the language in which the antinomy is constructed contains, in addition to its expressions, also the names of these expressions, as well as semantic terms such as the term "true" referring to sentences of this language; we have also assumed that all sentences which determine the adequate usage of this term can be asserted in the language. A language with these properties will be called "semantically closed." II. We have assumed that in this language the ordinary laws of logic hold. Tarski pointed out that the crucial, unacceptable assumption of the formal version of the Liar Argument is the self-reference allowed by any semantically closed language because any semantically closed language contains its own global truth predicate, and this leads to a contradiction. For there to be a grammatical and meaningful Liar Sentence in a language, there must be a definable notion of “is true” which holds for the true sentences and fails to hold for the other sentences. If there were such a global truth predicate, then the predicate “is a false sentence” would also be definable; and [here is where we need the power of elementary number theory] a Liar Sentence would exist, namely a complex sentence ∃x(Qx & ~Tx), where Q and T are predicates which are satisfied by names of sentences. More specifically, T is the one-place, global truth predicate satisfied by all and only the names [that is, numerals for the Gödel numbers] of the true sentences, and Q is a one-place predicate that is satisfied only by the name of ∃x(Qx & ~Tx). But if so, then one can eventually deduce a contradiction. This deduction by Tarski is a formal analog of the informal argument of the Liar Paradox. The contradictory result tells us that the argument began with a false assumption. According to Tarski, the error that causes the contradiction is the assumption that the global truth predicate can be well-defined. Therefore, Tarski asserts that truth is not definable within a classical formal language that is classically interpreted—thus the name “Undefinability Theorem” or "Indefinability Theorem." Tarski’s Theorem establishes that classically interpreted languages capable of expressing elementary arithmetic cannot contain their own global truth predicate, and so cannot be semantically closed. Truth cannot be defined properly within a classical formal language, but there is no special difficulty in giving a proper definition of truth for a classical formal language, provided it is done outside the language; and Tarski himself was the first person to do this. In 1933, he created the first formal semantics for quantified predicate logic. Here are two imperfect examples of how he partly defines truth. First, the simple sentence Fa is true if, and only if, a is F (that is, a has property F, which in turn requires that a be a member of the extension of predicate F, where the extension is the set of all objects having the property F. For example, we might formalize the English sentence, "Alfred is fat", by translating it as Fa; then Tarski is telling us that Alfred is fat just in case Alfred is a member of the set of all things that are fat. For a second example of partly defining truth, Tarski says the universally quantified sentence '∀xFx' is true if, and only if, all the objects in the domain are members of the set of objects that are F.
To repeat, a little more precisely but still imperfectly, Tarski's theory implies that, if we have a simple, formal sentence `Fa´ in our formal language, say classical predicate logic, in which 'a' is the name of some object in the domain of discourse (that is, what we can talk about) and if 'F' is a predicate designating a property that perhaps some of those objects have, then 'Fa' is true in the object language if, and only if, a is a member of the set of all things having property F. That set is called the extension of 'F'. Tarski also spoke of a satisfying 'F' this way. For the more complex sentence '∀xFx' in our language, it is true just in case every object in the domain is in the extension of F.
are both deducible in language 1, as are the other T-sentences. Despite Tarski's having this success with defining truth for an object language in its meta-language, Tarski's Theorem establishes that there is apparently no hope of defining truth within the object language itself. Tarski then took on the project of discovering how close he could come to having a well-defined truth predicate within a classical formal language without actually having one. That project, his hierarchy of meta-languages, is also his key idea for solving the Liar Paradox. Tarski's idea is discussed below. There are many proposed solutions to the paradox. A solution which says, “Quit using language” will stop the Liar Paradox; but surely the Liar Paradox can be stopped by making more conservative changes than this radical, ad hoc solution. All other things being equal, adopting simple, intuitive and conservative semantic principles is to be preferred ideally to adopting ad hoc, complicated and less intuitive semantic principles that have many negative consequences. The same goes for revision of a concept or revision of a logic. So, we won't quit using language. Nor should we try to find a way out by declaring that we must adhere to the principle, "Avoid paradoxes." Doing that gives us no guidance about how to avoid them. Shall we say instead that the problem is due somehow to the notorious vagueness of English (or whatever natural language is used to create the paradox)? That is also an implausible route because Alfred Tarski showed that by using a vagueness-free formal language he could produce the Liar Paradox. Maybe the route to a solution is to uncover some subtle equivocation in our concepts employed in producing the contradiction. There have been many suggestions along this line, but none have been widely accepted. Or perhaps we should simply accept that there is a contradiction unless we make appropriate changes. Because the Liar Paradox depends crucially upon our ideas about how to make inferences and how to understand the key semantic concepts of truth, reference, and negation, one might reasonably suppose that one of these needs revision. But we should proceed cautiously. No one wants to solve the Paradox by being heavy-handed and jettisoning more than necessary. Also, we should beware that any changes we do make might have their own drawbacks. One final word of caution. No doubt the ordinary meaning of the word "true" is a bit vague, but if we decide to solve the Liar Paradox by revising the concept of truth, then we must remember that explications of "true" have to be true to some core of ordinary meaning of "true" lest a revision is so great that it no longer is a revision but instead a change of subject. The Liar Sentence is ungrammatical and so has no truth value (yet the argument of the Liar Paradox depends on it having a truth value). The Liar Sentence is grammatical but meaningless and so has no truth value. The Liar Sentence is grammatical, meaningful and has a truth value, but one other step in the argument of the Liar Paradox is faulty. The argument of the Liar Paradox is acceptable, and we need to learn how to live with the Liar Sentence being both true and false. Two philosophers might take the same way out, but for different reasons. In presenting any of these five proposed solutions to the Paradox, it is helpful to explore the details and the implications. For example, do they accept, reject or revise the Law of Addition that was appealed to in step 3 of the Liar Argument back in Section 1 of this article? A solution is unacceptable if it cannot answer this question and give it a principled justification of some sort. There are many suggestions for how to deal with the Liar Paradox, but most are never developed to the point of giving a detailed theory that can speak of its own syntax and semantics with precision. Some give philosophical arguments for why this or that conceptual reform is plausible as a way out of paradox, but then don’t show that their ideas can be carried through in a rigorous way. Other attempts at solutions will take the formal route and then require changes in standard formalisms so that a formal analog of the Liar Paradox’s argument fails, but then not offer a philosophical argument to back up these formal changes other than with the remark, "It is successful in avoiding paradoxes so far." A decent theory of truth showing the way out of the Liar Paradox requires both a coherent formalism (or at least a systematic theory of some sort) and a philosophical justification backing it up. The point of the philosophical justification is an unveiling of some hitherto unnoticed or unaccepted rule of language for all sentences of some category which has been violated by the argument of the Paradox. In brief, the philosophical point is that a paradox's diagnosis should not precede its formal treatment. Is it obvious that there is a unique way out? Perhaps the best we can do is to have a variety of ways out, some of which are better than some others in certain respects. That point should be kept in mind when this article cavalierly speaks of "the" way out. The leading solutions to the Liar Paradox, that is, the influential proposed solutions, all have a common approach, the “systematic approach.” The developers of these solutions agree that the Liar Paradox represents a serious challenge to our understanding the concepts, rules, and logic of natural language; and they agree that we must go back and systematically reform or clarify some of our original beliefs, and provide a motivation for doing so other than that doing so blocks the Paradox. I predict a time when there will be mathematical investigations of calculi containing contradictions, and people will actually be proud of having emancipated themselves from consistency. In 1938 in a discussion group with Alan Turing on the foundations of mathematics, Wittgenstein said one should try to overcome ”the superstitious fear and dread of mathematicians in the face of a contradiction.” The proper way to respond to any paradox, he said, is by an ad hoc reaction and not by any systematic treatment designed to cure both it and any future ills. Symptomatic relief is sufficient. He said it may appear legitimate, at first, to admit that the Liar Sentence is meaningful and also that it is true or false, but the Liar Paradox shows that one should retract this admission and either just not use the Liar Sentence in any arguments, or say it is not really a sentence, or at least say it is not one that is either true or false. Wittgenstein is not particularly concerned with which choice is made. And, whichever choice is made, he claimed it need not be backed up by any theory that shows how to systematically incorporate the choice. He treated the whole situation cavalierly and unsystematically. After all, he said, the language can’t really be incoherent because we have been successfully using it all along, so why all this “fear and dread”? Most logicians disagree with Wittgenstein and want systematic removal of the Paradox. Disagreeing with Wittgenstein, P. F. Strawson has promoted the performative theory of truth as a way out of the Liar Paradox. Strawson has argued that the proper way out of the Liar Paradox is to carefully re-examine how the term “truth” is really used by speakers. He says such an investigation will reveal that the Liar Sentence is meaningful but fails to express a proposition. To explore this response more deeply, notice that Strawson’s proposed solution depends on the distinction between a proposition and the declarative sentence used to express that proposition. The next section explores what a proposition is, but let's agree for now that a sentence, when uttered, either expresses a true proposition, expresses a false proposition, or fails to express any proposition. According to Strawson, when we say some proposition is true, we are not making a statement about the proposition. We are not ascribing a property to the proposition such as the property of correspondence to the facts, or coherence, or usefulness. Rather, when we call a proposition “true,” we are only approving it, or praising it, or admitting it, or condoning it. We are performing an action of that sort. Similarly, when we say to our friend, “I promise to pay you fifty dollars,” we are not ascribing some property to the proposition, “I pay you fifty dollars.” Rather, we are performing the act of promising the $50. For Strawson, when speakers utter the Liar Sentence, they are attempting to praise a proposition that is not there, as if they were saying “Ditto” when no one has spoken. The person who utters the Liar Sentence is making a pointless utterance. According to this performative theory, the Liar Sentence is grammatical, but it is not being used to express a proposition and so is not something from which a contradiction can be derived. Some proponents of their own favorite solution to the paradox agree that a systematic approach to the paradox is valuable, and they point out that in some formalism, say first-order arithmetic, the Liar argument cannot be reconstructed. For one example, perhaps the proponents will argue that the sub-argument from the Liar sentence being true to its being false is acceptable, but the sub-argument from the Liar sentence being false to its being true cannot be reconstructed in the formalism. From this they conclude that the Liar sentence is simply false and paradox-free. This may be the key to solving the Paradox, but it is not successful if there is no satisfactory response to the complaint that perhaps their reconstruction using that formalism shows more about the inadequacy of the formalism than the proper way out of the paradox. The Liar Paradox can be expressed in terms of sentences, statements, and propositions. This proposition is not true. What are the important differences? Sentences are linguistic expressions, whereas statements and propositions are not. A proposition is usually said to be the content of a meaningful sentence. We sometimes use sentences to make statements and assert propositions, but we sometimes use sentences to ask questions and to threaten our enemies. When speaking about sentences, we usually are speaking about sentence types, not tokens. Tokens are the sound waves or the ink marks or the electronic events. Types are what is the same when we say that the same sentence was spoken by John, recorded in ink in his notebook, and sent over the Internet to his friend. In the process of asserting the Strengthened Liar sentence, the person is using a token of the word "this" to refer to a special sentence type, namely to the Strengthened Liar sentence. In the process of asserting the Strengthened Liar proposition, the person is using a token of the word "this" to refer to the meaningful content of a special sentence type, namely to the Strengthened Liar sentence. This is a bit vague, but it is difficult to remove the vagueness. Philosophers disagree with each other about what a statement is, and they disagree even more about what a proposition is. Most philosophers will say that sentences do not themselves make statements. Rather it is we speakers who use sentences to make statements. Some philosophers will claim that it is statements (or propositions) that are primarily true or false, and a sentence is true or false only in a secondary sense. But other philosophers disagree and believe that it is sentences that are primarily true or false. Despite Quine's famous complaint that there are no propositions because there can be no precise criteria for deciding whether two different sentences are being used to express identical propositions, there are some very interesting reasons why researchers who work on the Liar Paradox should focus on propositions rather than on either sentences or statements, but those reasons will not be explored here. For a discussion of the need for propositions, see (Barwise and Etchemendy 1987). The present article will continue to speak primarily of sentences rather than propositions, though only for the purpose of simplicity. Ideally, we would like a proposed solution to the Liar Paradox to provide a solution to all the versions of the Liar Paradox, such as the Strengthened Liar Paradox, the version that led to Buridan’s proof of God’s existence, and the contingent versions of the Liar Paradoxes. The solution should solve the paradox both for natural languages and formal languages, or provide a good explanation of why the paradox can be treated properly only in one but not the other. The contingent versions of the Liar Paradox are going to be troublesome because, if the production of the paradox does not depend only on something intrinsic to the sentence but also depends on what circumstances occur in the world, then there needs to be a detailed description of when those circumstances are troublesome and when they are not, and why. If C is true then ⊥. C is true iff C.
C is true iff if C is true then ⊥. So, we have proved a contradiction. The outcome is a self-referential paradox that does not rely on negation, as the Liar Paradox does. 1. Everybody after me is lying. 2. Everybody after me is lying. 3. Everybody after me is lying. Ask yourself whether the first person's sentence in the sequence is true or false. To produce the paradox it is crucial that the line of speakers be infinite. Notice that no sentence overtly refers to itself. There is controversy in the literature about whether the paradox actually contains a hidden appeal to self-reference or circularity. See (Beall 2001) for more discussion. To summarize, an important goal for the best solution, or solutions, to the Liar Paradox is to offer us a deeper understanding of how our semantic concepts and principles worked to produce the Paradox in the first place, especially if a solution to the Paradox requires changing them. We want to understand the concepts of truth, reference, and negation that are involved in the Liar Paradox. In addition to these, there are the subsidiary principles and related notions of denial, definability, naming, meaning, predicate, property, presupposition, antecedent, and operating on prior sentences to form newer meaningful ones rather than merely newer grammatical ones. We would like to know what limits there are on all these notions and mechanisms, and how one impacts another. What are the important differences among the candidates for bearers of truth? The leading candidates are sentences, propositions, statements, claims, and utterances. Is one primary, while the others are secondary or derivative? Ideally, we would like to know a great deal more about truth, but also falsehood and the related notions of fact, situation and state of affairs. We want to better understand what a language is and what the relationship is between an interpreted formal language and a natural language, relative to different purposes. Finally, it would be instructive to learn how the Liar Paradoxes are related to all the other paradoxes. That may be quite a lot to ask, but then our civilization does have some time to investigate all this before the Sun expands and vaporizes our little planet. d. Should Classical Logic be Revised? An important question regarding the Liar Paradox is: What is the relationship between a solution to the Paradox for (interpreted) formal languages and a solution to the Paradox for natural languages? There is significant disagreement on this issue. Is appeal to a formal language a turn away from the original problem, and so just changing the subject? Can one say we are still on the subject when employing a formal language because a natural language contains implicitly within it some formal language structure? Or should we be in the business of building an ideal language to replace natural language for the purpose of philosophical study? Is our natural language, for example, English, a semantically closed language? Does English have one or more logics? Should we conclude from the Liar Paradox that the logic of English cannot be standard logic but must be one that restricts the explosion that occurs due to our permitting the deduction of anything whatsoever from a contradiction? Should we say English really has truth gaps or perhaps occasional truth gluts (sentences that are both true and false)? So many questions. Or instead can a formal language be defended on the ground that natural language is inconsistent and the formal language is showing the best that can be done rigorously? Can sense even be made of the claim that a natural language is inconsistent, for is not consistency a property only of languages with a rigorous structure, namely formal languages and not natural languages? Should we say people can reason inconsistently in natural language without declaring the natural language itself to be inconsistent? This article raises, but will not resolve, these questions, although some are easier to answer than others. Many of the most important ways out of the Liar Paradox recommend revising classical formal logic. Classical logic is the formal logic known to introductory logic students as "predicate logic" in which, among other things, (i) all sentences of the formal language have exactly one of two possible truth values (TRUE, FALSE), (ii) the rules of inference allow one to deduce any sentence from an inconsistent set of assumptions, (iii) all predicates are totally defined on the range of the variables, and (iv) the formal semantics is the one invented by Tarski that provided the first precise definition of truth for a formal language in its metalanguage. A few philosophers of logic argue against any revision of classical logic by saying classical logic is the incumbent formalism that should be accepted unless an alternative is required (probably it is believed to be incumbent because of its remarkable success in expressing most of modern mathematical inference). Still, most other philosophers argue that classical logic is not the incumbent which must remain in office unless an opponent can dislodge it. Instead, the office has always been vacant. In the decades since Tarski's treatment of the Liar Paradox, there have been many new approaches that reject his classical, extensional logic in favor of alternative logics that do not require that his T-sentences be theorems of the metalanguage. Some philosophers object to revising classical logic if the purpose in doing so is merely to find a way out of the Paradox. They say that philosophers shouldn’t build their theories by attending to the queer cases. There are more pressing problems in the philosophy of logic and language than finding a solution to the Paradox, so any treatment of it should wait until these problems have a solution. From the future resulting theory which solves those problems, one could hope to deduce a solution to the Liar Paradox. However, for those who believe the Paradox is not a minor problem but is one deserving of immediate attention, there can be no waiting around until the other problems of language are solved. Perhaps the investigation of the Liar Paradox will even affect the solutions to those other problems. There have been many systematic proposals for ways out of the Liar Paradox. Below is a representative sample of five of the main ways out. Bertrand Russell said natural language is incoherent, but its underlying sensible part is an ideal formal language (such as the applied predicate logic of Principia Mathematica). He agreed with Henri Poincaré that the source of the Liar trouble is its use of self-reference. Russell's way out was to rule out self-referential sentences as being ungrammatical or not well-formed in his ideal language. If we now revert to the contradictions, we see at once that some of them are solved by the theory of types. Whenever ‘all propositions’ are mentioned, we must substitute ‘all propositions of order n’, where it is indifferent what value we give to n, but it is essential that n should have some value. Thus when a man says ‘I am lying’, we must interpret him as meaning: ‘There is a proposition of order n, which I affirm, and which is false’. This is a proposition of order n+1; hence the man is not affirming any propositions of order n; hence his statement is false, and yet its falsehood does not imply, as that of ‘I am lying’ appeared to do, that he is making a true statement. This solves the liar. Russell’s implication is that the informal Liar Sentence is meaningless because it has no appropriate translation into his formal language since an attempted translation violates his type theory. This theory is one of his formalizations of the Vicious-Circle Principle: Whatever involves all of a collection must not be one of the collection. Russell believed that violations of this principle are the root of all the logical paradoxes. His solution to the Liar Paradox has the drawback that it places so many subscript restrictions on what can refer to what. It is unfortunate that the Russell hierarchy requires even the apparently harmless self-referential sentences “This sentence is in English” and "This sentence is not in Italian" to be syntactically ill-formed. The type theory also rules out explicitly saying (within his formalism) that legitimate terms must have a unique type, or saying that properties have the property of belonging to exactly one category in the hierarchy of types, which, if we step outside the theory of types, seems to be true about the theory of types. Bothered by this, Tarski took a different approach to the Liar Paradox. Reflection on the Liar Paradox suggests that either informal English (or any other natural language) is not semantically closed or, if it is semantically closed as it appears to be, then it is inconsistent—assuming for the moment that it does make sense to apply the term "inconsistent" to a natural language with a vague structure. Because of the vagueness of natural language, Tarski quit trying to find the paradox-free structure within natural languages and concentrated on developing formal languages that did not allow the deduction of a contradiction, but which diverge from natural language "as little as possible." One virtue of Tarski's way out of the Paradox is that it does permit the concept of truth to be applied to sentences that involve the concept of truth, provided we apply level subscripts to the concept of truth and follow the semantic rule that any subscript inside a pair of quotation marks is smaller than the subscript outside but still within the sentence; any violation of this rule produces a meaningless, ungrammatical formal sentence, but not a false one. The language of level 1 is the meta-language of the object language in level 0. Level 0 sentences don't contain truth or similar terms, but would contain, say, "Paris is the capital of France." The sentence saying this level 0 sentence is true occurs in level 1. It would be: "'Paris is the capital of France' is true0." No language is allowed to contain its own truth predicate. Another virtue of the Tarski way out is that it provides a way out of the Yablo Paradox. Russell's solution calls “This sentence is in English” ill-formed, but Tarski's solution does not, so that feature is also virtue of Tarski's way out. Tarski allows some self-reference, but not the self-reference involved in the Liar Paradox. Tarski's clever treatment of the Liar Paradox unfortunately has drawbacks. English has a single word “true,” but Tarski is replacing this with an infinite sequence of truth-like formal predicates, each of which is satisfied by the truths only of the language below it in the hierarchy of languages. Intuitively, a more global truth predicate should be expressible in the language it applies to. One hopes to be able to talk truly about one’s own semantic theory. The Tarski way out does not allow us even to say that in all languages of the hierarchy, some sentences are true. To use Wittgenstein's phrase from his Tractatus, the character of the hierarchy can be shown but not said. One criticism of Quine is that he is asking us to be patient and not to be so bothered by the complexity of the hierarchy, but he is giving no other justification for the hierarchy. because Tarski cannot describe the contingency. That is, Tarski's solution does not provide a way to specify the circumstances in which a sentence leads to a paradox and the other circumstances in which that same sentence is paradox-free. Within Tarski's hierarchy of formal languages, we cannot say, “Every language has true sentences,” even though outside the hierarchy this is clearly a true remark about the hierarchy. Kripke’s way out of the Classical Liar requires a revision in our semantic principles but a less radical one than does the Russell solution or the Tarski-Quine solution. Kripke rejects the hierarchy of languages and retains the intuition that there is a single, semantically coherent and meaningful Liar Sentence, but argues that it is neither true nor false and so falls into a “truth value gap.” Kriple successfully develops the details using the tools of symbolic logic. Tarski's Undefinability Theorem does not apply to languages having sentences that are neither true nor false. So, it can be argued that Kripke successfully shows that a semantically coherent formal language can contain its own global truth predicate. Kripke trades Russell's and Tarski's infinite syntactic complexity of languages for infinite semantic complexity of a single formal language. He rejects Tarski's infinite hierarchy of meta-languages in favor of one formal language having an infinite hierarchy of partial interpretations. Consider a single formal language capable of expressing elementary number theory and containing a predicate T for truth (that is, for truth in an interpretation). Kripke assigns to T an elaborate interpretation, namely its extension (the set of sentences it is true of), its anti-extension (the set of sentences it is false of), and its undecideds (the set of sentences it is neither true nor false of). No sentence is allowed to be a member of both the extension and anti-extension of any predicate. Kripke allows the interpretation of T to change throughout the hierarchy. The basic predicates except the T predicate must have their interpretations already fixed in this base level. In the base level of the hierarchy, the predicate T is given a special extension and anti-extension. Specifically, its extension is all the (names of the) true sentences that do not actually contain the predicate symbol ‘T’, and its anti-extension is all the false sentences that do not contain 'T'. The predicate 'T' is the formal language’s only basic partially-interpreted predicate. As we ascend the hierarchy, distancing ourselves from the basic level, more and more complex sentences involving the symbol 'T' get added into the extension and anti-extension of the intended truth predicate T. Each step up Kripke’s semantic hierarchy is another partial interpretation of the language. As we go up a level we add into the extension of T all the true sentences containing T from the lower level. Ditto for the anti-extension. For example, at the lowest level in the hierarchy we have the (formal equivalent of the) true sentence 7 + 5 = 12. Strictly speaking it is not grammatical in English to say 7 + 5 = 12 is true because we make a use-mention error. More properly we should add quotation marks and say ‘7 + 5 = 12’ is true. In Kripke’s formal language, ‘7 + 5 = 12’ is true at the base level of the hierarchy. Meanwhile, the sentence that is the best candidate for saying it is true, namely ‘T(‘7+5=12’)’, is not true at that level, although it is added to the extension of T and thus is said to be true at the next higher level. Unfortunately at this new level, the even more syntactically complex sentence ‘T(‘T(‘7+5=12’)’)’ is still not yet true. It will become true at the next higher level. And so goes the hierarchy of interpretations as it attributes truth to more and more sentences involving the concept of truth itself. The extension of T, that is, the class of names of sentences that satisfy T, grows but never contracts as we move up the hierarchy, and it grows by calling more true sentences true. Similarly the anti-extension of T grows but never contracts as more false sentence involving T are correctly said to be false. Kripke shows that T eventually becomes a truth-like predicate for its own level when the interpretation-building reaches the unique lowest fixed point at a countably infinite height in the hierarchy. At a fixed point, no new sentences are declared true or false, and at this level Kripke shows that the language also satisfies Tarski’s Convention T, so for this reason many philosophers are sympathetic to Kripke’s controversial claim that T is a truth predicate at that point. At this fixed point, the formal equivalent of the Liar Sentence still is neither true nor false, and so falls into the truth gap, just as Kripke set out to show. In this way, the Liar Paradox is solved, the formal language has a global truth predicate, the formal semantics is coherent, and many of our intuitions about semantics are preserved. However, there are difficulties with Kripke's way out. His treatment of the Classical Liar stumbles on the Strengthened Liar and reveals why that paradox deserves its name. For a discussion of why, see (Kirkham 1992, pp. 293-4). Some critics of Kripke's theory say that in the fixed-point the Liar Sentence does not actually contain a global truth predicate but rather only a clever restriction on the truth predicate, and so Kripke’s Liar Sentence is not really the Liar Sentence after all; therefore we do not have here a solution to the Liar Paradox. Other philosophers say this is not a fair criticism of Kripke's theory since Tarski's Convention T, or some other intuitive feature of our concept of truth, must be restricted in some way if we are going to have a formal treatment of truth. What can more easily be agreed upon by the critics is that Kripke's candidate for the Liar sentence falls into the truth gap in Kripke's theory at all levels of his hierarchy, so it is not true in his theory. [We are making this judgment that it is not true from within the meta-language in which sentences are properly said to be true or else not true.] However, in the object language of the theory, one cannot truthfully say the Liar Sentence is not true since the obvious candidate expression for that, namely ~Ts, is not true, but rather falls into the truth gap. Therefore, Kripke's truth-gap theory cannot state its own thesis. Robert Martin and Peter Woodruff created the same way out as Kripke, though a few months earlier and in less depth. Another way out says the Liar Sentence is meaningful and is true or else false, but one special step of the argument in the Liar Paradox is incorrect. namely, the inference from the Liar Sentence’s being false to its being true. Arthur Prior, following the informal suggestions of Jean Buridan and C. S. Peirce, takes this way out and concludes that the Liar Sentence is simply false. So do Jon Barwise and John Etchemendy, but they go on to present a detailed, formal treatment of the Paradox that depends crucially upon using propositions rather than sentences. The details of their treatment will not be sketched here. Their treatment says the Liar Proposition is simply false on one interpretation but simply true on another interpretation, and that the argument of the Paradox improperly exploits this ambiguity. The key ambiguity is to conflate the Liar Proposition's negating itself with its denying itself. Similarly, in ordinary language we are not careful to distinguish asserting that a proposition is false from denying that it is true. Three positive features of the Barwise-Etchemendy solution are that (i) it applies to the Strengthened Liar, (ii) its propositions are always true or false, but never both, and (iii) it shows the way out of paradox both for natural language and interpreted formal language. Yet there is a price to pay. No proposition in their system can be about the whole world, and this restriction is there for no independent reason but only because otherwise we would get a paradox. A more radical way out of the Paradox is to argue that the Liar Sentence is both true and false. This solution, a version of dialethism, embraces the contradiction, then tries to limit the damage that is ordinarily a consequence of that embrace. This way out changes the classical rules of semantics to allow the Liar Sentence to be both true and false, while not allowing everything to follow from any contradiction. The following does not hold: (p & ~p) ⊧ q. So, this way out uses a paraconsistent logic. so the contradiction propagates into the metalanguage. A principal virtue of the paraconsistency treatment is that, unlike with Barwise and Etchemendy's treatment, a sentence can be about the whole world. Critics of this approach to the Liar have complained that it does not seem to solve the Strengthened Liar Paradox, nor Curry's Paradox; and it does violence to our intuition that sentences can’t be both true and false in the same sense in the same situation. See the last paragraph of "Paradoxes of Self-Reference," for more discussion of using paraconsistency as a way out of the Liar Paradox. To summarize, when we treat the Liar Paradox we should provide two things, an informal diagnosis which pinpoints the part of the paradox's argument that has led us astray, and a formalism that prevents the occurrence of the paradox's argument within that formalism. 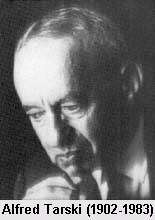 Russell, Tarski, Kripke, Barwise-Etchemendy, and Priest (among many others) deserve credit for providing a philosophical justification for their proposed solutions while also providing a formal treatment in symbolic logic that shows in detail both the character and implications of their proposed solutions. The theories of Russell and of Quine-Tarski do provide a treatment of the Strengthened Liar, but at the cost of assigning complex “levels” to the relevant sentences. On the positive side, their treatment does not take Russell’s radical step of ruling out all self-reference. Kripke’s elegant and careful treatment of the Classical Liar stumbles on the Strengthened Liar. Barwise and Etchemendy’s way out avoids these problems, but requires accepting the idea that no sentence can be used to say anything about the whole world, including the semantics of our language. Priest’s way out requires giving up our intuition that no context-free, unambiguous sentence is both true and false. In (Putnam 2012,p. 206), Putnam concluded that "a solution does not seem to be possible" if by a solution, we mean one that makes all appearance of paradox go away. More optimistically, should there really be so much fear and loathing about limitations on our ability to formally express all the theses of our favored theory? Many fields have learned to live with their limitations. Set theory cannot speak of the set of all its sets. For further reading on the Liar Paradox that provides more of an introduction to it while not presupposing a strong background in symbolic logic, the author recommends reading the article below by Mates, plus the first chapter of the Barwise-Etchemendy book, and then chapter 9 of the Kirkham book. The rest of this bibliography is a list of contributions to research on the Liar Paradox, and all members of the list require the reader to have significant familiarity with the techniques of symbolic logic. In the formal, symbolic tradition, other important researchers in the last quarter of the 20th century when research on the Liar increased dramatically were Burge, Gupta, Herzberger, McGee, Parsons, Putnam, Routley, Skyrms, van Fraassen, and Yablo. Barwise, Jon and John Etchemendy. The Liar: An Essay in Truth and Circularity, Oxford University Press, 1987. Beall, J.C. (2001). “Is Yablo’s Paradox Non-Circular?” Analysis 61, no. 3, pp. 176-87. Burge, Tyler. “Semantical Paradox,” Journal of Philosophy, 76 (1979), 169-198. Dowden, Bradley. “Accepting Inconsistencies from the Paradoxes,” Journal of Philosophical Logic, 13 (1984), 125-130. Gupta, Anil. “Truth and Paradox,” Journal of Philosophical Logic, 11 (1982), 1-60. Reprinted in Martin (1984), 175-236. Herzberger, Hans. “Paradoxes of Grounding in Semantics,” Journal of Philosophy, 68 (1970), 145-167. Kirkham, Richard. Theories of Truth: A Critical Introduction, MIT Press, 1992. Kripke, Saul. “Outline of a Theory of Truth,” Journal of Philosophy, 72 (1975), 690-716. Reprinted in (Martin 1984). Martin, Robert. The Paradox of the Liar, Yale University Press, Ridgeview Press, 1970. 2nd ed. 1978. Martin, Robert. Recent Essays on Truth and the Liar Paradox, Oxford University Press, 1984. Martin, Robert and Peter Woodruff. “On Representing ‘True-in-L’ in L,” Philosophia, 5 (1975), 217-221. Mates, Benson. “Two Antinomies,” in Skeptical Essays, The University of Chicago Press, 1981, 15-57. McGee, Vann. Truth, Vagueness, and Paradox: An Essay on the Logic of Truth, Hackett Publishing, 1991. Parson, Charles. "The Liar Paradox," Journal of Philosophical Logic 3 (1974): 381-412. Priest, Graham. “The Logic of Paradox,” Journal of Philosophical Logic, 8 (1979), 219-241; and “Logic of Paradox Revisited,” Journal of Philosophical Logic, 13 (1984), 153-179. Priest, Graham, Richard Routley, and J. Norman (eds.). Paraconsistent Logic: Essays on the Inconsistent, Philosophia-Verlag, 1989. Prior, Arthur N. “Epimenides the Cretan,” Journal of Symbolic Logic, 23 (1958), 261-266. Prior, Arthur N. “On a Family of Paradoxes,” Notre Dame Journal of Formal Logic, 2 (1961), 16-32. Putnam, Hilary. Realism with a Human Face, Harvard University Press, 1990. Putnam, Hilary. “Paradox Revisited I: Truth.” In Gila Sher and Richard Tieszen, eds., Between Logic and Intuition: Essays in Honor of Charles Parsons, Cambridge University Press, (2000), 3-15. Putnam, Hilary. Philosophy in an Age of Science: Physics, Mathematics, and Skepticism. Harvard University Press, 2012. Quine, W. V. O. “The Ways of Paradox,” in his The Ways of Paradox and Other Essays, rev. ed., Harvard University Press, 1976. Russell, Bertrand. “Mathematical Logic as Based on the Theory of Types,” American Journal of Mathematics, 30 (1908), 222-262. Russell, Bertrand. Logic and Knowledge: Essays 1901-1950, ed. by Robert C. Marsh, George Allen & Unwin Ltd. (1956). Skyrms, Brian. “Return of the Liar: Three-valued Logic and the Concept of Truth,” American Philosophical Quarterly, 7 (1970), 153-161. Slater, Hartley. "Logic is Not Mathematical," Polish Journal of Philosophy, Spring 2012, pp. 69-86. Strawson, P. F. “Truth,” in Analysis, 9, (1949). Tarski, Alfred. “The Concept of Truth in Formalized Languages,” in Logic, Semantics, Metamathematics, pp. 152-278, Clarendon Press, 1956. Tarski, Alfred. “The Semantic Conception of Truth and the Foundations of Semantics,” in Philosophy and Phenomenological Research, Vol. 4, No. 3 (1944), 341-376. Van Fraassen, Bas. “Truth and Paradoxical Consequences,” in (Martin 1970). Woodruff, Peter. “Paradox, Truth and Logic Part 1: Paradox and Truth,” Journal of Philosophical Logic, 13 (1984), 213-231. Wittgenstein, Ludwig. Remarks on the Foundations of Mathematics, Basil Blackwell, 3rd edition, 1978. Yablo, Stephen. (1993). “Paradox without Self-Reference.” Analysis 53: 251-52.